Over the last 20 years, American agriculture has been taken over and practically monopolized by the “big bad wolf” of the biotech industry: Monsanto. This company has a long history of creating and marketing toxins disguised as harmless and necessary staples of modern farming. But who is Monsanto, and how did this company come to be the biotech powerhouse it is today? And what are Monsanto’s future plans for American and global agriculture? Monsanto is now known as a large biotech corporation, but it began as a small company that was originally founded in 1901 by John F. Queeny. Monsanto became the first company outside of Europe to manufacture the artificial sweetener saccharin. In the early years, Monsanto struggled and almost collapsed, until they joined forces with a now famous start-up company called Coca-Cola. In fact, Coca-Cola is credited with helping Monsanto survive, grow, and ultimately thrive. 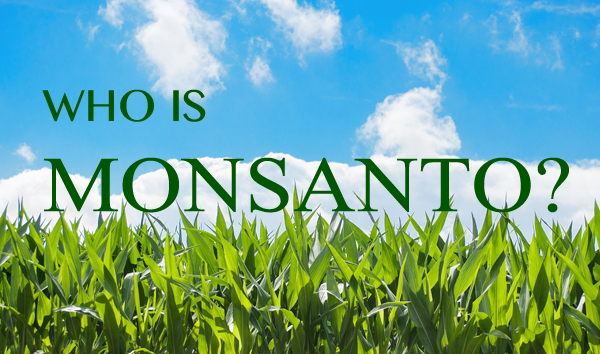 In the 1940s, Monsanto expanded into the world of synthetic fibers, plastics, and agriculture. Their first agricultural product was called Santobane, an insecticide that targeted the corn borer, as well as other pests. In 1955, Monsanto ventured into chemical fertilizer production after purchasing an oil company in order to produce ammonia. By the 1960s, Monsanto was producing several chemical herbicides, pesticides, and insecticides. In 1970, Monsanto developed and released glyphosate, the active ingredient in Roundup. Monsanto claims that this original formulation of Roundup is one of the safest herbicides for humans, animals, and crops (research is mounting that proves otherwise). Monsanto also became involved in animal agriculture, starting in the late 1950s. Their first animal product, MHA, was a protein supplement for animal feed. In 1976, they branched out into the newly developed field of biotechnology, releasing a synthetic bovine hormone called BST (also known as rBGH). BST has been used around the world since 1988 with the purpose of increasing milk production and efficiency in cows. By 1979, the CEO of Monsanto wanted to make the company into “a world-class molecular biology company” and take part in the new world of agricultural biotechnology. With the development of a new branch of the company, Monsanto developed the first genetically modified plant cell in 1983. Just one month later, Monsanto scientists grew a whole plant from genetically modified cells. By 1987, field testing began for plants modified to withstand Roundup and plant diseases. In 1995, the FDA approved the commercial sale of Monsanto’s genetically modified soybean, potato, and cotton seeds. In the quest to breed better plants, Monsanto took over multiple seed companies between 1996 and 1998. I believe my mom and I both got Non Hodgkins Lymphoma from a tainted water supply caused by Monsanto chemical experiments. Our home on Sona Lane was about a mile from a huge Monsanto facility built in the Fifties in Creve Coeur, Mo. my mother died in 2000 and have had NHL since 2013.